The Rhinebeck Farmers' Market is unique in that it is not supported by a civic or governmental organization and enjoys no special eligibility status. The market relies solely upon business sponsorship, donations, vendor fees, volunteers and merchandise sales for its operating funds. In 2017, the Market launched RFM Plus. For every $1 spent at the market in SNAP benefits the participant receives another $1 of RFM Plus to double their purchasing power. 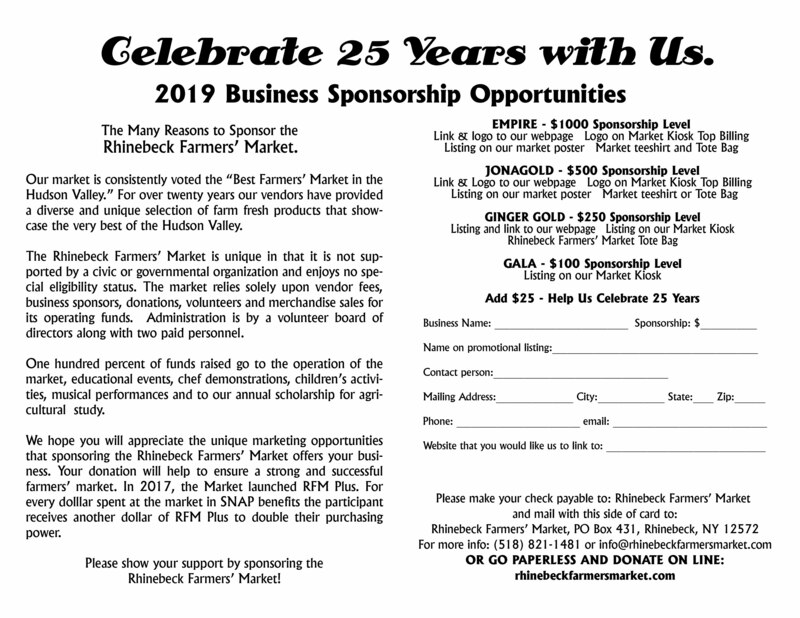 Join your friends and neighbors in supporting the market and RFM Plus by becoming a Business Sponsor or a Farmers' Market Friend or click on one of the links below to pay online. Listing and link from rhinebeckfarmersmarket.com sponsor page to your website Listing on our kiosks at the entrance to the market. Receive a Rhinebeck Farmers’ Market Tote Bag with your donation. 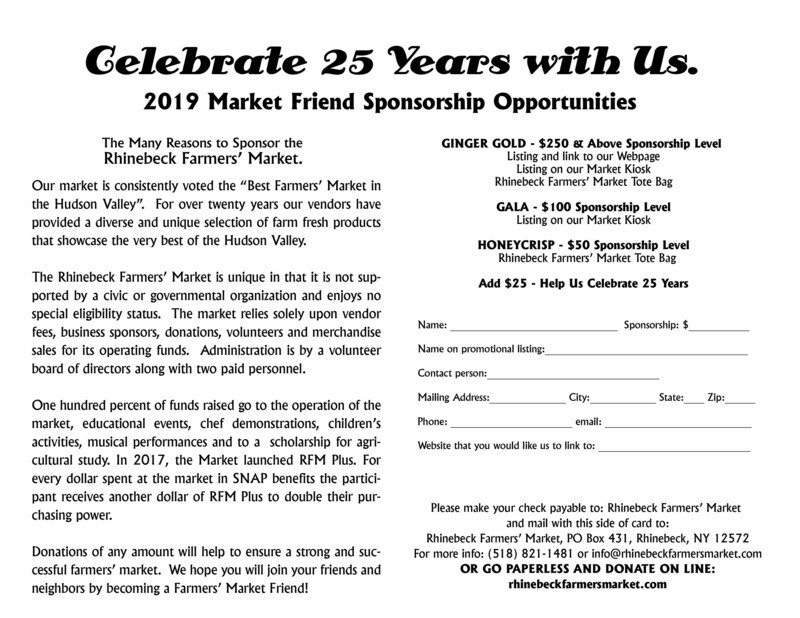 Receive a Rhinebeck Farmers’ Market Tote Bag with your donation.